The community forum is a group of volunteers who ensure that we remain relevant to and engaged with our local community. 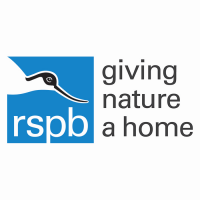 This is an exciting opportunity to make a meaningful difference, sharing your insights and ideas, and supporting the work of RSPB Sandwell Valley. By being a voice for the local community, you will ensure it is represented in the running of your local RSPB nature reserve. We’re looking for dynamic and reliable individuals who are passionate about connecting people to nature. If you are a creative but realistic thinker, with good people skills, this may be the role for you. You will need to be comfortable contributing to group discussions and approaching members of the community. Having links with the local community in and around Sandwell Valley / having an understanding of environmental conservation is desirable but not essential. You will be part of a friendly team of like-minded people and get a chance to develop transferable skills such as decision making, networking and team work. Forum members will have the opportunity to take on more responsibilities if they wish. The chairperson, vice-chair and secretary are appointed amongst forum members for two year terms. As a community forum volunteer you will attend a meeting every two months where we plan and discuss projects and activities that will encourage more people to visit the reserve.